The case refers to Fr Lawrence Johnson who was arrested in 2015 for allegations of the sexual abuse of a child. When a family friend of the victim’s family phoned the Cardinal’s secretary on the afternoon of November 30, 2015 and requested for an appointment with the Cardinal, it was immediately granted. That same evening the Cardinal met with the victim, the parents of the victim and the family friend, who alleged that Fr. Johnson had sexually abused the child. The Cardinal tried to console the parents. The Cardinal was to leave for Rome that same night. After the complainants left, the Cardinal at once phoned up Fr. Johnson and informed him of the allegations made against him, and although Fr. Johnson denied the allegations, the Cardinal removed him from office immediately and told him that he was not even allowed to celebrate Mass the next morning. Fr. Johnson wanted to meet the Cardinal personally, but the Cardinal told him that he was leaving for Rome in a couple of hours and to meet Bishop John Rodrigues instead. Immediately, after speaking to Fr. Johnson, the Cardinal phoned up Bishop John Rodrigues and asked him to keep in touch with the family and to start an inquiry. He then left for Rome. Early next morning, as soon as he reached Rome, the Cardinal phoned Bishop John to inquire with him regarding the case and about informing the police. At that time, Bishop John told the Cardinal that the police had already been informed by the family the previous night. On his return from Rome, the Cardinal made an appointment with a counsellor to counsel the victim, but he was told by Bishop John Rodrigues that the family had said that the government authorities were making arrangements for a counsellor. It has been reported “The family say they requested medical help but were offered none”. This is not true. Medical assistance is always given by the Archdiocese to needy parishioners - in fact, a Corpus Fund has been specifically started by the Archdiocese for this purpose. As regards the victim, Fr. 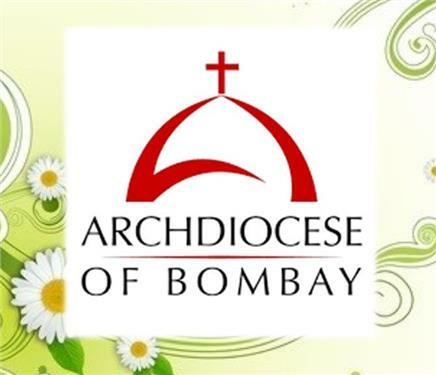 Lancy Pinto, the then Dean of Kurla deanery, had spoken to a friend of the family and specifically told him that if the family needed any help they could straightaway approach the Archbishop’s House. He also visited the victim’s home along with an animator from the parish and met the father of the victim (the mother and the children had gone to visit their relatives). Even on that occasion Fr. Lancy asked the victim’s father if in any way they could be of help to him or the child, but he was told that there was no need. Fr. Lancy also told the father, at that time, that in case the boy needed any medical help or counselling, he could get in touch with him (Fr. Lancy). The victim’s father thanked Fr. Lancy and told him that, at present, they did not need any help. Many other attempts were made to reach out to the victim but the family declined any help. Subsequently, the Cardinal tried on many occasions to reach out to the family and the victim, but they refused to meet the Cardinal. The Cardinal understands their pain and is ready to give the victim and the victim’s family all assistance. The father of the victim complained to the Police on 30.11.2015 followed by the Police registering the FIR and arresting the Priest concerned on 2.12.2015 - since then the Priest has been in jail and the trial of the case has commenced. In spite of this, strangely, now after 3 years, it is unfortunate that a controversy has been raised.